A core precept of endocrinology is that of an endocrinopathy, defined as a hormonal deficiency state with clearly defined adverse sequelae. This paradigm is best illustrated by hypothyroidism and subsequent replacement, or by male hypogonadism with testosterone replacement. In the previous section, we have hypothesized that a clear androgen deficiency state does not exist in women undergoing natural menopause, but there are several conditions that are associated with decreased levels of androgens in women. These include the use of postmenopausal hormone replacement therapy (HRT), (particularly orally administered), oral contraceptive use, pre-or postmenopausal oophorectomy, and adrenal suppression. Combined, these iatrogenic causes are prevalent enough to makeandrogen deficiency in women an extremely common condition. Fig. 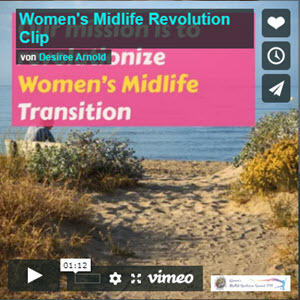 17.3 Circulating testosterone levels through the menopausal transition: Melbourne Women's Midlife Health Project (Burger 2000). Fig. 17.4 Androgen dynamics in the postmenopausal woman. Fig. 17.5 Effect of estrogen replacement therapy on circulating androgens (Casson 1997). 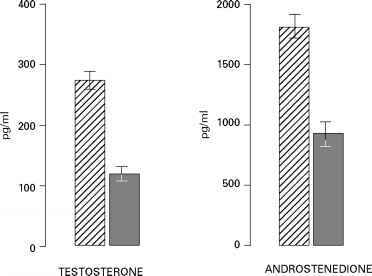 Two mg/day of oral micronized estradiol, given over 12 weeks, results in significant decreases in dehydroepiandrosterone, total, and free testosterone. decreased approximately 40%. This decrease in circulating testosterone is secondary to a decline in serum gonadotropins by about 50%, reducing the postmenopausal LH drive to the ovarian testosterone production. Fig. 17.4 also illustrates several other concurrent effects of oral estrogen which may accentuate the resultant testosterone deficiency. First, there was a 2.5-fold increase in circulating SHBG that would greatly reduce the amount of unbound or bioavailable testosterone. The HRT-induced increase in serum SHBG is likely due to hepatic first-pass effect and has also been demonstrated with other oral preparations of menopausal HRT as well as oral contraceptives. 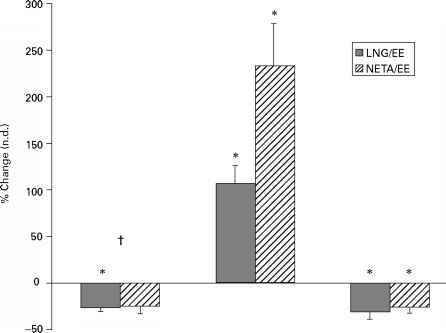 Of note, it is much less pronounced with transdermal replacement of estrogen (Nachtigall etal. 2000). Finally, serum DHEAS was decreased by 30%, representing a significant accentuation of adrenopause. The cause of this augmentation of adrenopause with HRT is less well delineated but has been seen in several other studies. It may be due to estrogenic augmentation of 36-hydroxysteroid dehydrogenase activity in the adrenocortical reticularis cells (Casson etal. 1996). Oral contraceptives used in pre and perimenopausal women also significantly decrease total testosterone through similar effects to HRT. This is best illustrated by the work of Thorneycroft etal. who in 1999 (Fig. 17.5) demonstrated that oral contraceptive use decreases total testosterone and increases SHBG, resulting in a synergestic decrease inbioavialable testosterone. The effect of oral contraceptives on adrenal androgens is somewhat controversial, but there is some evidence that they may further attenuate secretion of these prohormones for circulating testosterone (Wild etal. 1982). Fig. 17.6 Oral contraceptive use decreases total testosterone and increases SHBG resulting in a synergistic decrease in bioavailable testosterone (adapted from Thorneycroft 1999). NETA/EE and LNG/EE refer to norethindrone acetate/ethinyl estradiol and levonorgestrel/ethinyl estradiol containing oral contraceptives. Perhaps the most prevalent cause of androgen deficiency in women occurs with surgical menopause. The postmenopausal ovaries clearly remain active androgenic secretory organs; oophorectomy substantially decreases circulating testosterone and A4A by about 50%, as illustrated by Fig. 17.7 (Judd etal. 1974). Hysterectomy with ovarian conservation does not necessarily preclude the possibility of impaired ovarian androgen secretion. One study contends that up to 34% of women who had hysterectomy with ovarian conservation developed menopausal symptoms within the first two years after the procedure (Siddle et al. 1987). If hysterectomy with ovarian conservation results in a degree of ovarian devascular-ization, subsequent ovarian androgen secretory function might well be impaired. This speculation is borne out by Laughlin et al. (2000), who published data from the Rancho-Bernardo cohort showing that hysterectomy with ovarian conservation results in bioavailable and total testosterone levels about midway between intact postmenopausal women and surgically menopausal women (Fig. 17.8). Fig. 17.7 The postmenopausal ovaries remain active androgenic secretory organs as evidenced by the observation that oophorectomy decreases circulating testosterone and A4A by about 50% (adapted from Judd 1974). Thus, while ovarian conservation at hysterectomy remains a valuable strategy to prevent androgen deficiency in the menopause, it does not necessarily preclude such a phenomenon from occurring. Another potential disadvantage of ovarian conservation is the possible increased incidence of ovarian cancer. The risks/benefit assessment of prophylactic oophorectomy as primary prophylaxis against this lethal condition await more data about the significance of the resultant androgen deficiency. 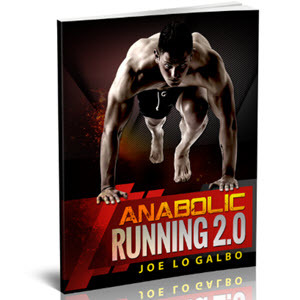 Adrenal failure or suppression also decreases serum testosterone levels. This is because of decreased zona reticularis production of DHEA and DHEAS, important circulating prohormones for downstream androgens. This effect has been noted with adrenal suppression (Abraham 1974), and more recently by Arlt etal. (1999) in patients with adrenal failure. 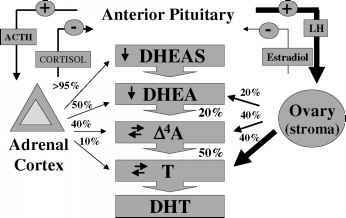 These authors also demonstrated that oral DHEA replacement restituted serum levels of DHEA, DHEAS, A4A and testosterone back to physiologic norms, further illustrating the essential contribution of circulating adrenal androgens to downstream androgens. Fig. 17.8 Data from the Rancho-Bernardo cohort showing that hysterectomy with ovarian conservation results in bioavailable and total testosterone levels about midway between intact postmenopausal women and surgically menopausal women. 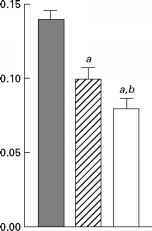 a = p < 0.05 from imtact, b = p < 0.05 from ovarian conservation (Laughlin 2000). While natural menopause is not associated with androgen deficiency per se, many of the gynecological interventions associated with menopause do create an iatrogenic androgen deficiency. 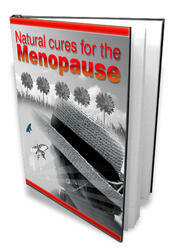 These include HRT, oophorectomy and subsequent surgical menopause, and gynecologic surgery with ovarian conservation. Additionally, in both reproductive and post-reproductive women, medical interventions such as corticosteroid therapy and most commonly, oral contraceptive use can cause androgen deficiency. Having made the argument that androgen deficiency states do exist in women, at least biochemically, the question is then raised whether such deficiency states are clinically relevant or simply an inconsequential biochemical phenomenon. Given that in certain conditions an androgen deficiency state may develop in women, how can such a state be defined? A simple measurement of total circulating DHEAS, DHEA, A4A, or testosterone, while a good first step, may not be entirely adequate to define an androgen deficiency because of the cyclic nature of the androgen secretion [A4A, DHEA] or the fact that a significant portion of circulating steroid (A4A, T, DHT) is rendered biologically inactive by binding to both SHBG and (to a lesser degree) albumin. In the case of another endocrinopathy, menopause, steroid deficiency is defined in terms of a clear symptom complex, but for androgen deficiency little is known in this regard, so defining a clinical complex is more difficult, although attempts have been made (Davis 2001). Given these limitations, definitions of an androgen deficiency state have been based primarily on serum levels of circulating hormones and are arbitrary - generally considered to be low if they are below the lower third of reproductive age norms. For total testosterone, this would represent a value of less than 15ng/dl or 1.5 nm/l, and for DHEAS less than 100 jxg/dl. Perhaps a better way to look at androgen deficiency would be in terms of free testosterone, and again an arbitrary lower limit of normal would be <1% or 2 pg/ml. Other work in the area of defining androgen deficiency in terms of serum androgen levels centers on calculation of a free testosterone index as determined by total testosterone (nmol/l) multiplied by 100 divided by the SHBG concentration (nmol/L) (Burger 2002b); androgen deficiency is arbitrarily defined as a value less than 4. Ultimately, female androgen deficiency may well be determined on the basis of both a reasonably well defined symptom complex (for instance, decreased lean body mass, bone mass, and sexual function), in conjunction with risk factors (such as previous oophorectomy) and finally, with confirmation by measurements of free testosterone or a related index.